Fancy a paddle? Go explore the mighty Clyde River with a kayak or canoe from Nelligen Kayak Hire. Whether you want to go paddling for one hour or the full day, this activity is sure to be a highlight of your holiday in the Batemans Bay area. Our canoes and kayaks are easy to use and allow for a unique perspective of river life. Paddlers have reported seeing birds (pelicans, cormorants, kookaburras), sting rays, jellyfish, wallabies, fish and even kangaroos lazing along the river banks. Every hire has life jackets included. We also provide dry bags to keep your phone, wallet, camera or clothing dry. No experience is necessary as we give full instructions on how to safely paddle. Call us now on 0436 016 856 to book in your kayak or canoe. Our meeting point for kayak hire is the Nelligen boat ramp. Plenty of parking is available. The boat ramp is in front of the Nelligen River Cafe, ideal for an ice cream or coffee post-paddle. Cash or card payment available. Fancy a paddle? Go explore the mighty Clyde River with a kayak or canoe from Nelligen Kayak Hire. Sleek sit-on-top single seat Lynxx kayak for when you’re cruising solo. Paddle twice as fast with our two seater Lynxx kayak. Fits 2 adults + 1 small child. Meander along the Clyde River in our Wenonah canoe. Fits 2 adults + 2 kids. Your life jacket is especially designed for kayak use so this means it not only makes you safe, but also comfortable. Use our complimentary dry bag to keep your phone, wallet, camera or clothing dry. Gain expert advice on how to safely and efficiently paddle your kayak or canoe. By using a human-powered craft you’re ensuring no nasties pollute our waterways. Simply get in your vessel and start paddling! Afterwards come ashore and we’ll pack everything up. Where the heck is Nelligen? Our meeting point for kayak hire is the Nelligen boat ramp. Plenty of parking available. It is in front of the River Cafe, ideal for an ice cream or coffee post-paddle. We accept both cash and card payment. We hire out the kayaks right on the banks of the Clyde River at the Nelligen boat ramp. It is the perfect place to start your kayaking or canoeing adventure. Nelligen is just 8kms from Batemans Bay on the Kings Highway (on the way to Canberra). Nelligen has long been regarded as an excellent location for river exploring. Whether you just want to paddle past the houses lining the river or perhaps explore the mangroves, there is plenty to keep you interested. Houseboats cruise past. Pelicans swoop low over the water, just enjoying themselves. Wave to the passengers on the River Ferry. Perhaps you want to try your luck at fishing. But the true pleasure is stepping back in time and enjoying the peace and solitude of the river. Just imagine, drifting quietly along with gentle strokes of your paddle, or hitchhiking the tide. Priceless. Nelligen is just 8kms from Batemans Bay on the Kings Highway (on the way to Canberra). Our meeting point for kayak hire is the Nelligen boat ramp. Plenty of parking available. It is in front of the River Cafe, ideal for an ice cream or coffee post-paddle. We accept both cash and card payment. Nelligen has long been regarded as an excellent location for river exploring. Whether you just want to paddle past the houses lining the river or perhaps explore the mangroves, there is plenty to keep you interested. Houseboats cruise past. Pelicans swoop low over the water, just enjoying themselves. Wave to the passengers on the River Ferry. Perhaps you want to try your luck at fishing. Perfect! Oh my god so much fun! I’ve never been kayaking before and it was tricky learning with Emma but we eventually got the hang of it. Definitely recommend it. I had a very enjoyable couple of hours in the canoe. It was a nice mix of exercise and seeing the wildlife of Nelligen. My highlight was spotting the pelicans! After a few Schmacko’s I really found myself enjoying being out on the Clyde river. I had a few good sniffs at the fish and was very intrigued by the jellyfish floating past. Woof. Call us on 0436 016 856 (preferred). Email us at paddle@nelligenkayakhire.com.au or fill in the form and we’ll be in touch shortly. Hires are available daily from 8am – 6pm. Last hire is at 5pm. We accept both cash and card payment. 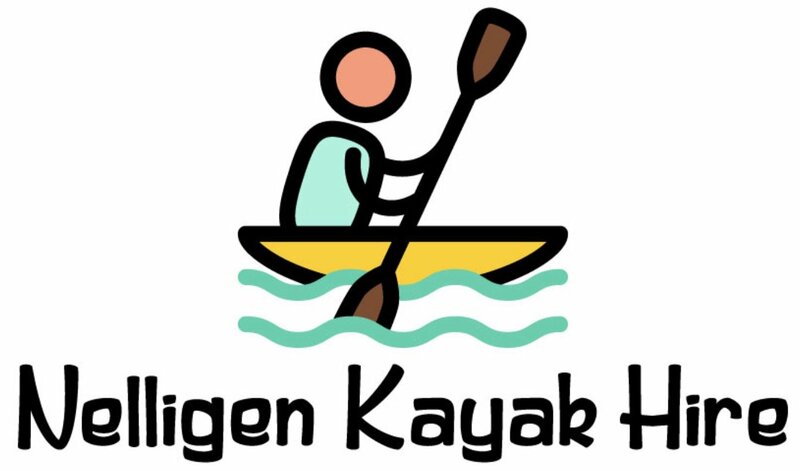 Nelligen Kayak Hire is a family owned business operated by Peter & Wendy Counsell. Avid paddlers themselves, they’ve lived in the Batemans Bay area for over 15 years and they believe kayaking the Clyde River is the best way to experience it. They also run the Clyde River Cottage (more information below). Nelligen Kayak Hire is fully licensed by the Roads and Maritime Services of NSW and the Batemans Marine Park. Hires are available daily from 8am – 6pm. Last hire is at 5pm. We accept both cash and card payment. Want a longer view of the stunning Clyde River but don’t have the energy to keep paddling? Why not stay at the charming Clyde River Cottage. It’s a great place to relax while in Nelligen. You can enjoy the private jetty, go fishing, read a book and have a barbecue or campfire. Feel at home in the cosy cottage with Netflix, make a cappuccino, or unwind with a glass of wine. Visit the Clyde River Cottage website, send them an email at relax@clyderivercottage.com.au or call Peter & Wendy on 0436 016 856 for more information.